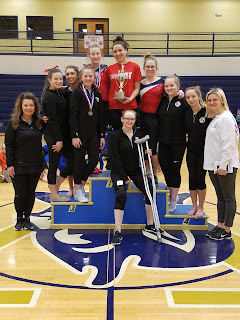 Sierra Baxter swept all four individual titles to claim the All-Around as Madison Spence, Jennifer Flores, Kaitlin McLendon and Kayleigh Bohn added necessary depth as Patrick Henry won the Conference 12/16/20 Team Gymnastics Championship Wednesday night at Varina High School. Freshman Sophie Vota of Hanover had a strong debut showing at the conference level, finishing second in the All-Around. The Patriots move on to 5A South Region competition on Saturday February 11th. 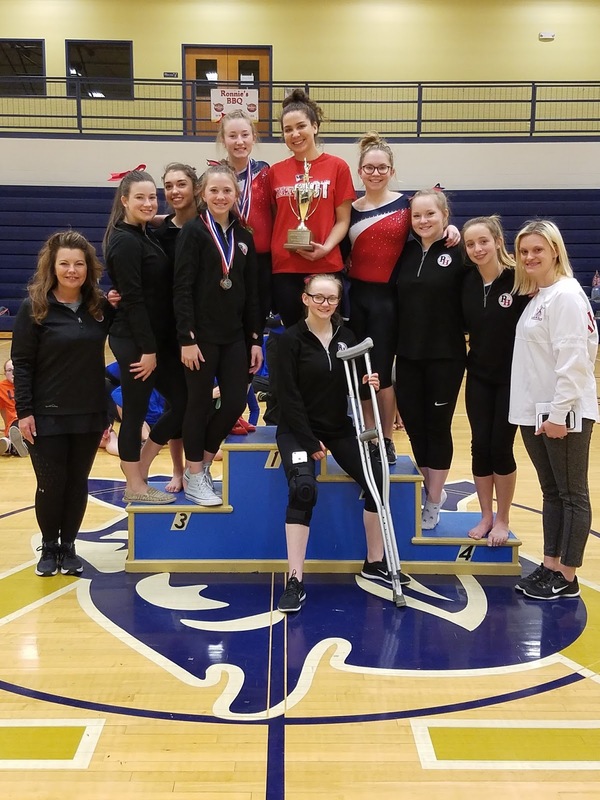 Many individual gymnasts from Patrick Henry, runner-up Atlee, and third place Hanover will compete in qualified disciplines. The top four All-Around finishers, plus top eight finishers in each discipline will move on.